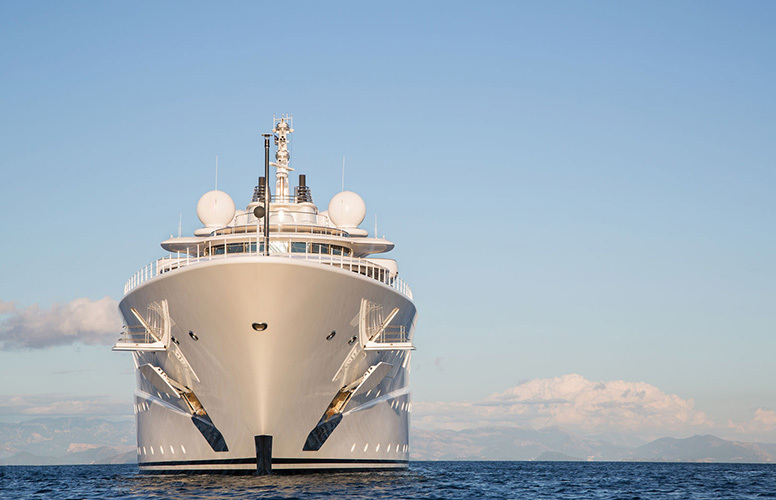 Sailing on board recreational vessels or any yachts of over forty meters, all devices must guarantee a level of security and unmatched reliability. During sea crossings breakdowns are not permitted, therefore all devices that we install are constantly monitored by the ON.Systems, which provides details of consumption and early warning of malfunctioning equipment. 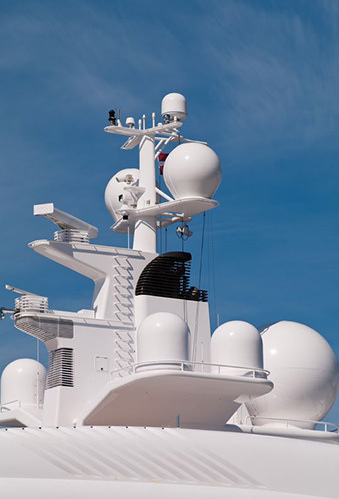 All audio and video solutions, even the most complex, are designed to guarantee the best performance even at sea; beginning with the choice of satellite antenna for the best signal reception, the TV channel selection devices, the creation of the signal distribution network in any environment provided by the project, all the way to the screen and the selection of speaker sound. Amidst the equipment one can never be without an essential server containing its own high-definition movie collection called up instantly from the ON.Systems application and viewable on any screens present on board, from that of the cinema room with surround sound system to that of the master cabin.